Central and Eastern Europe is, I’ve always found, full of random liqueurs. My cupboard is hiding many a strange bottle of fruit based drinks I’ve picked up over the years in Montenegro, Croatia, Slovakia and the Czech Republic. But my best discovery in recent years came as a bit of a surprise. 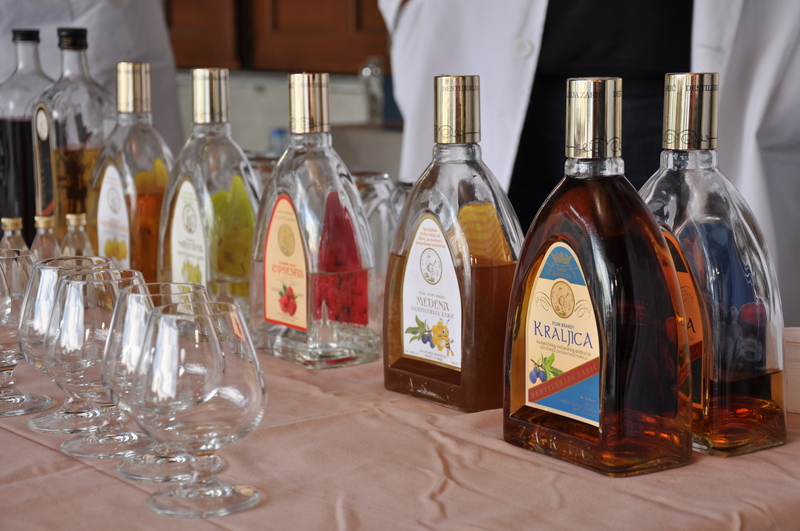 During a trip to Serbia to learn about the country’s food and drink heritage, I came across Rakia (or, fruit brandy). And it’s one purchase I don’t imagine will be gathering dust in my cupboard for long. Rakia is a traditional drink made across the region, from Slovenia to Bosnia and Serbia. For hundreds of years, families have had minute copper stills at home to distill the strong, sweet liquor themselves. Flavours range all across the board, from quince, to apricot, grape, raspberry, young walnuts, herbs and – the most popular – plum. The latter – called Slivovitz in Serbian – is what you’ll find most commonly and can run the gamut from pretty horrible to deliciously drinkable. But with most sitting at an alcohol level over 45%, I recommend you mind how much of the latter you’re getting down your gullet. The first references to the drink in Serbia originate with stories about Turkish invaders of the 14th century. It has been mass produced since the 19th century and is traditionally served up in every cafe and bar, and drunk at any point in the day. While in Serbia, I visited both a distillery and a rakia bar called Distilerija, in Belgrade. Both opened my eyes to the product which was very exciting as a drinks lover. The distillery, called Zarić, was located in a hilly region in western Serbia called Kosjerić, which is famous for producing various fruits that end up in the drink. The distillery was established in 1946 and produces three millions litres of brandy a year through a process much like whisky or gin distilling. Dusko Disanović, the master distiller, took me around the distillery and explained the process. To start, the chosen fruit, enzymes and yeast are fermented in large vats for 20 days. Then, the resulting mash is distilled in large copper stills powered by steam, coming off at 60-70% ABV. The pear and raspberry brandies are distilled on a column still, as it helps hold in the fruit essences more fully. 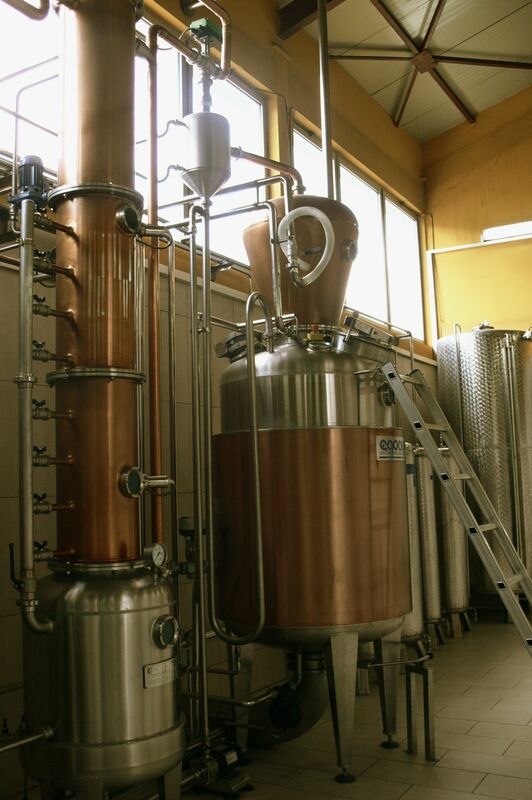 A single distillation takes 10-12 hours, although it’s longer for Slivovitz, which is double-distilled. The alcohol content is brought down by adding distilled water to the vats (or, in the case of Slivovitz, to the large casks it will mature in). The Slivovitz is then aged for a minimum of six months in huge, 250,000 litre Slavonian oak barrels from Croatia, which gives it a darker colour and deeper flavour than the other brandies. This one was definitely my favourite. 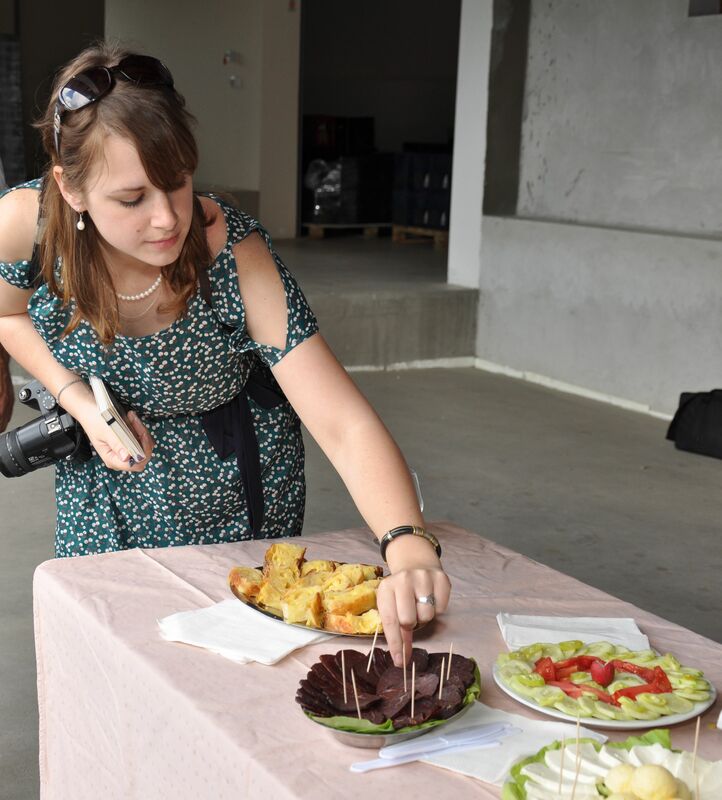 While some of the fruit ones were interesting – the raspberry, for instance, had a nice, sharp twang to it – many were too sweet for my liking. The Slivovitz, however, was more balanced, with notes of vanilla, spice and stewed plums. 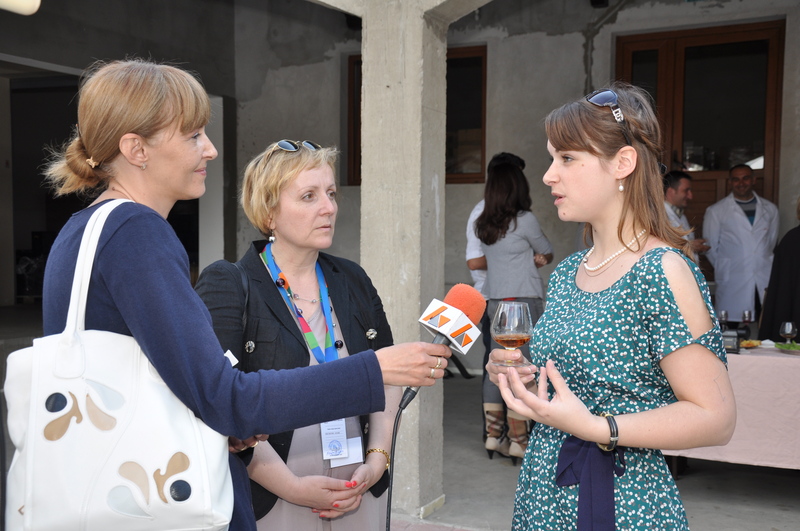 A random Gwiltypleasures interview with Serbian TV about my thoughts on Rakia! I tried all of these and many more at both the distillery and Distilerija. The latter was just opening when I visited, but is owned by Branko Nešić, who started the first rakia only bar called – quite logically – Rakia Bar in 2006. His new venture combines a quasi-museum providing the history of the drink and a full restaurant and bar. Trying the types of tapas that go with rakia. 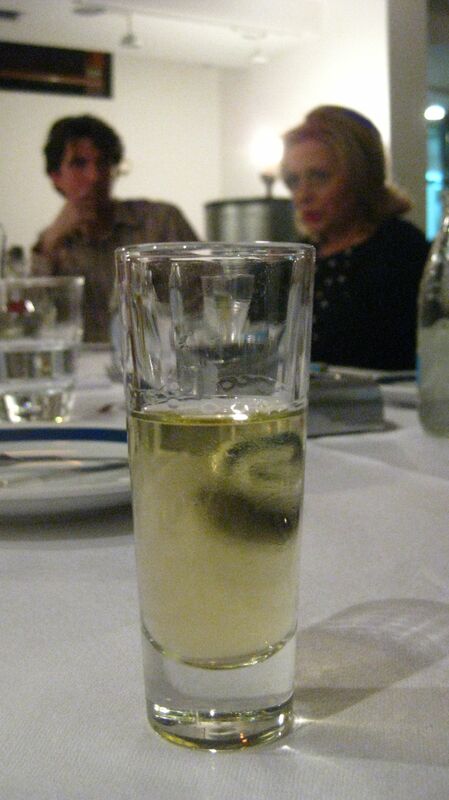 Rakia is normally served with small dishes of food, similar to tapas. I first tried a cold pressed grape rakia, paired with a pike carpaccio, that offset eachother wonderfully, the sharp lemon and fish flavours marrying well with the alcoholic bite of the rakia. Also on the menu was a quince rakia, that hinted at parma violets and fleshy fruit, and a buckwheat pancake stuffed with mushrooms and a type of Serbian cream cheese called Kajmak. But the best of the night was definitely the Slivovitz, once again. It was paired with a small dish of ox tail with a spicy paprika, dill and lemon sauce, which was salty enough to balance out the sweeter vanilla and brown sugar notes of the drink. Throughout my journey to Serbia, one thing was clear: Rakia is king. Every home will offer the traveller a drink of it, while at every restaurant, a waiter will proffer it to start. It’s diverse and more enjoyable than traditional, thicker brandies we get in western Europe. So if you find it on liquor store rack somewhere, give it a try – I’d share mine but it’s too pleasurable to leave on my shelf for long! You’re welcome. Was lovely to meet you both and I hope to revisit your wonderful country sometime soon!